Commercialization requires seamless integration of marketing, sales, physicians, specialty pharmacies, patients and payers. Evolving markets, regulation pressures and increasing costs requires pharmaceutical industry to use latest technologies and out-of-box solutions to get to market quickly. Sequent’s information centric approach empowers your company to deploy best of class solutions for commercialization. Our teams have worked extensively with sales and marketing team to develop and deploy solutions for customer management – CRM, employee management (ERP) and secure information sharing between vendors. As a Microsoft Cloud Partner we offer a full range of technologies including Microsoft Dynamics CRM, Dynamics 365 Operations and Finance, SQL Server Reporting Services, SQL Server Integration Services and SharePoint for collaboration, project management and secure data exchange. With over 15 years of experience in the industry, we offer strategy, implementation, migration and support services for hosted and cloud platforms. Microsoft Dynamics CRM provides a powerful platform for managing customers, tracking engagements, sales, marketing. Supply chain management for inventory, sales and accounts receivable. 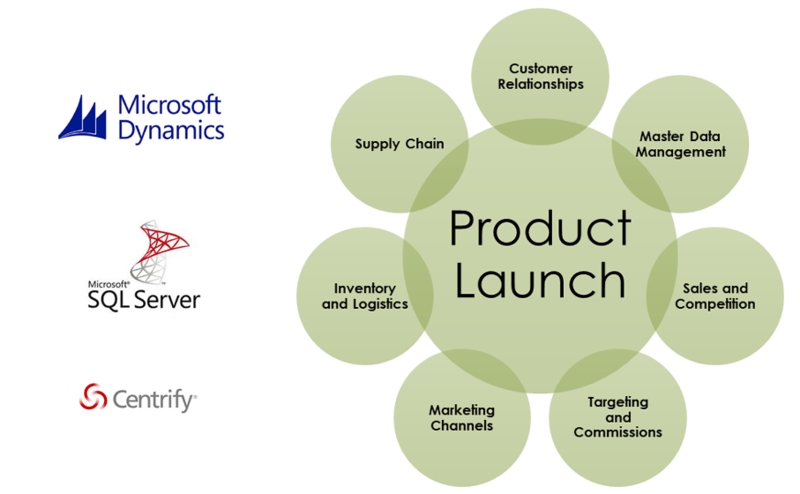 Data integration and delivery: Data from multiple vendors – CRM, targeting, customer service, sales, digital marketing, payor, specialty pharmacy, 3PL, inventory, etc. Our integration services offer a flexible data processing, secure delivery and quality control platform. Single sign on – SSO, between various systems with solutions such as Centrify and Okta. Our AAA – Available • Anywhere • Anytime, reporting platform delivers action oriented dashboards, high volume data warehouse and analytics ready information.